Cardiovascular disease (CVD) is the leading cause of morbidity and mortality in the United States and most westernized nations. Both CVDs and their risk factors confer substantial risk for stroke and dementia, but are also associated with more subtle changes in brain structure and function and cognitive performance prior to such devastating clinical outcomes. It has been suggested that there exists a continuum of brain abnormalities and cognitive difficulties associated with increasingly severe manifestations of cardiovascular risk factors and diseases that precede vascular cognitive impairment and may ultimately culminate in stroke or dementia. 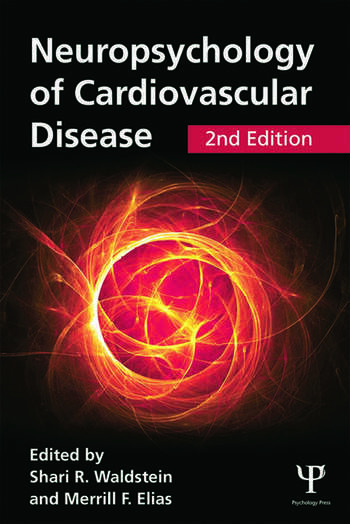 This second edition examines the relations of a host of behavioral and biomedical risk factors, in addition to subclinical and clinical CVDs, to brain and cognitive function. Associations with dementia and pre-dementia cognitive performance are reported, described, and discussed with a focus on underlying brain mechanisms. Future research agendas are suggested, and clinical implications are considered. The volume is a resource for professionals and students in neuropsychology, behavioral medicine, neurology, cardiology, cardiovascular and behavioral epidemiology, gerontology, geriatric medicine, nursing, adult developmental psychology, and for other physicians and health care professionals who work with patients with, or at risk for, CVDs. 7. Neurocognitive Aspects of Obesity Kelly M. Stanek, Lindsay A. Miller, and John Gunstad. Shari R. Waldstein, PhD, is Professor of Psychology, Gerontology, and Medicine at the University of Maryland, Baltimore County and University of Maryland School of Medicine. Merrill F. Elias, PhD, MPH, FAHA, is Professor of Psychology and Cooperating Professor, Graduate School of Biomedical Science and Engineering at the University of Maine.